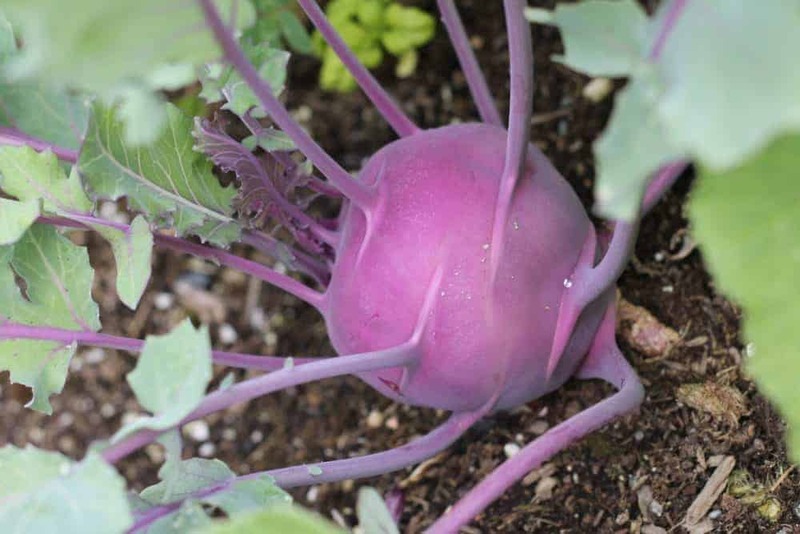 Kohlrabi is a funny and unusual vegetable. It sort of looks like an alien spaceship, at least compared to other veggies. They come in green or purple (see more purple veggies here), and are usually harvested at tennis ball size (unless you’re growing the large ‘Superschmelz’ ). 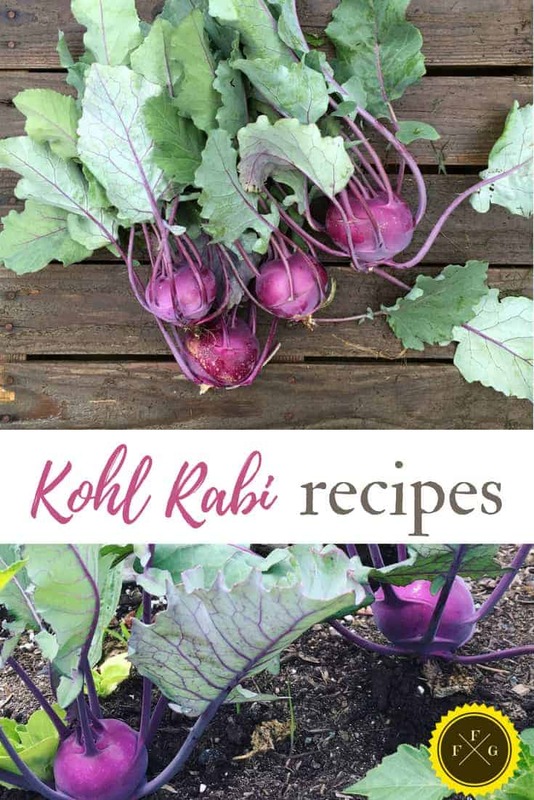 The name kohlrabi comes from the German “kohl,” meaning cabbage, and “rabi,” meaning turnip—and that kind of says it all about this delicious vegetable. Out of every type of vegetable that I’ve grown, this one gets the most questions. 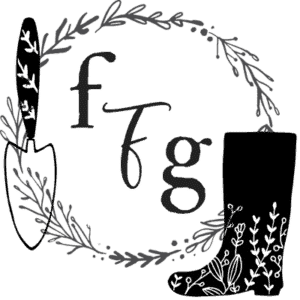 This post is to answer all those questions! 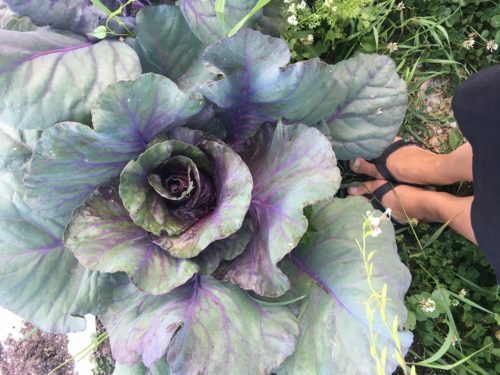 Even though you can eat the leaves, I tend to toss them to the chickens mostly because of the garden bugs and I prefer the more tender kale over these firmer leaves. However the leaves do taste good and many people prefer them to kale. The main harvest crop is the round bulb. You simply cut off each leaf at the base of the stem where it is attached, usually leaving a little bit of stem. Then you can peel them, or chop off the outside to get to the yummy tender inside. Depending on the recipe, you would then shred, cube, or making into ‘fries’ as a shape. 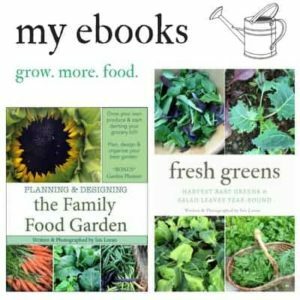 Like many vegetables, it tastes different raw than cooked. I like sautéing or roasting them, but they’re also delicious raw in salads offering a nice light crunch. So I would say it’s like a mix of a cabbage/turnip as the name implies but I always find it has a hint of broccoli stem taste too. Now the taste is also depending on the time of year grown. In the summer, when it’s hot, the taste isn’t as good as in the fall. 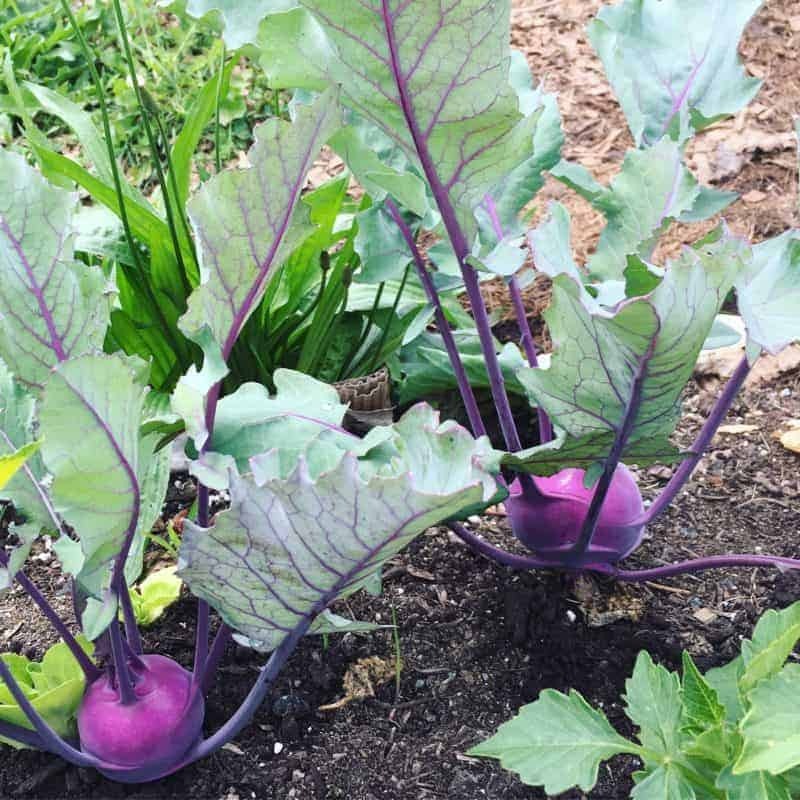 With hotter temperatures you kohlrabi might have a hint of spiciness to them (like turnips pr radishes do when grown in warmer weather). In the fall when they are grown in the cool weather they love, they taste wonderful! If you grow them in the summer you’ll also have to harvest them before they get woody inside. They taste the most tender at the 8cm-12cm size (except the ‘Superschmelz’ variety which doesn’t tend to get woody and grows to a very large size). 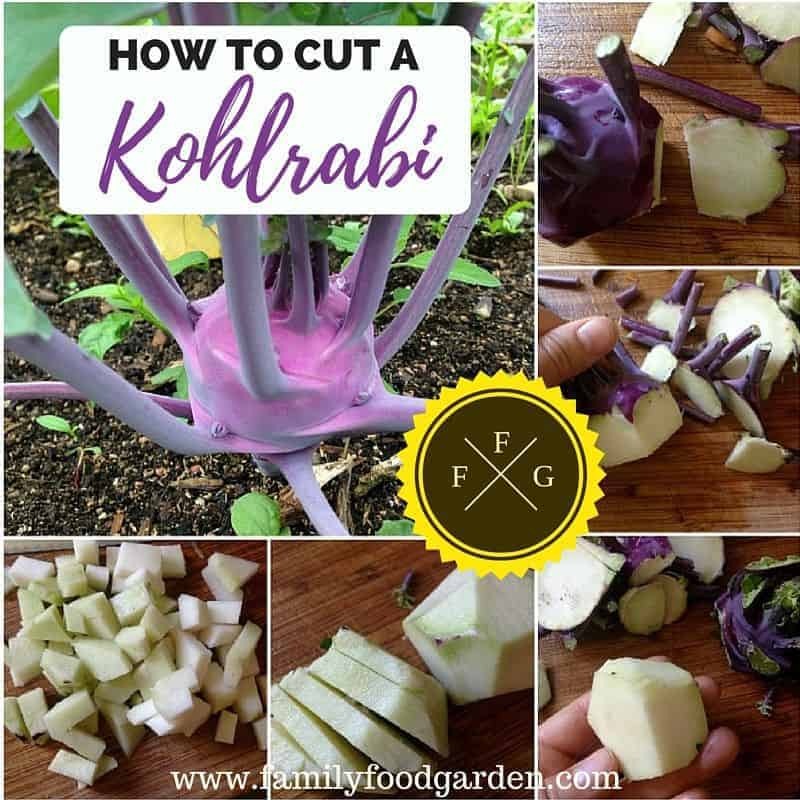 What is your favorite way to eat and prepare Kohlrabi?